I picked this picture because it shows different accessories and clothes. I like to match clothes with shoes and other things like jewelry. A stylist's job is to help clients put together outfits and make fashion choices. They are mostly self-taught, but there are classes available in colleges and fashion schools if they want a formal education. They make an average of $40,000 a year but if they work with celebrities or models they can earn up to $100,000 annually. I would like to do this because I enjoy helping people and picking outfits too. My favorite pizza is Hawaiian, I like to make pizza, buy pizza and eat pizza. It's fun to add ingredients and try new recipes for pizza. One of my interests is also hanging out with my friends. They say surround yourself with things that make you happy, and my friends make me happy! I don't know much about cars, but Lamborghinis are so beautiful. I hope one day I'll have enough money to buy one. My mom was a lawyer, and I could learn a lot from her, Law interests me because I like to fight crime and fight for what I believe is right. Lawyers help people solve cases and they fight for what is right. It requires three years of law school and to pass their state's examination which gives them a right to practice law in that state. Their average salary is $130,490 a year or $62.74 per hour. Lawyers work in offices, courtrooms, law libraries and other formal places. I would like to be a lawyer because I believe in fighting for what is right. I don't think I can have just one favorite animal! I love white tigers, bunnies and puppies. 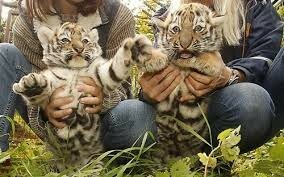 I wish one day I could pet a tiger, but they are dangerous animals. Veterinarians help animals get better and prevent illnesses. Requires four years of undergraduate school, for years of veterinary school and state's licensure to practice. They work in animal hospitals or clinics and earn from $6,332 to $10,800 a month. I would like to be a veterinarian because I want to help animals and cure them if they are sick. I picked this picture because writing interests me a lot. 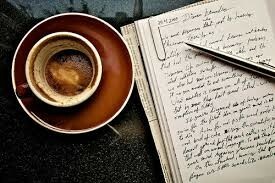 I enjoy writing and this picture shows a calm environment with writing. 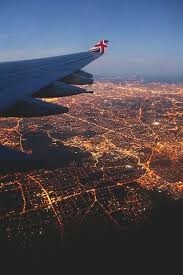 I love traveling because I get to see new places and enjoy the awesome plane rides. 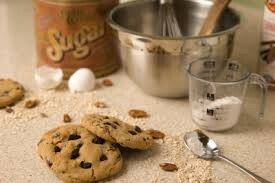 I like baking treats like cookies, cupcakes, brownies, ect. It's a lot of fun and you get to play around with recipes and mix ingredients, colors and flavors. I love listening to music and being on my phone. My favorite musicians are Adele, J. Cole, The Weeknd, Justin Bieber, G-Eazy, Alina Baraz and more. I would like to one day design my own clothing and maybe even have my own clothing line! I like to watch fashion shows and see people make clothes. Fashion designers create sketches of what they want their designs to look like, then they make it. Most are required to have an undergraduate degree in fashion. Their salaries start from $33,260 to $129,380, and they are payed from $15.99 to $62.20 per hour. Majority of them work in big cities and I would love to live in a big city like New York. Netflix is amazing. There is millions of movies and shows to watch there. If you're bored, Netflix is there for you. 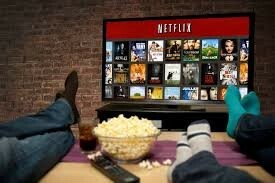 My favorite shows on Netflix are Gossip Girl, Pretty Little Liars, Friends, One Tree Hill and much more.